In an effort to be proactive and pursue internships I'll actually enjoy partaking in, I decided to apply for the CollegeFashionista Style Guru Internship. Basically, one takes a picture of a fashionable person on one's campus, then writes up a little* fashion advice for readers concerning some article the student was wearing that was sartorially on point. **Or at least, this was so in high school journalism, where 250 words was the average minimum. Anyway, I decided to post my responses to the questions and show y'all the mock up I did to apply for the internship. I figure it'll be useful whether I get the internship or not--if I don't get it, it will be advice for what not to write, and if I do, it will be the opposite. If you answered "Yes" to "Writing, Blogging and/or Journalism Experience," please explain. In the summer of 2012, I wrote and published a young adult novel, and also attended the University of Virginia's Young Writers Workshop. In 2013, I wrote for my high school's newspaper, and contributed many opinions, features, and editorial articles. Currently, I am part of the editing team for University of the Pacific's literary magazine, and also have a fashion blog as well as a writing blog. How did you hear about CollegeFashionista? I peruse Refinery29 daily, and decided to check out their College section, as it is applicable to my current stage in life. 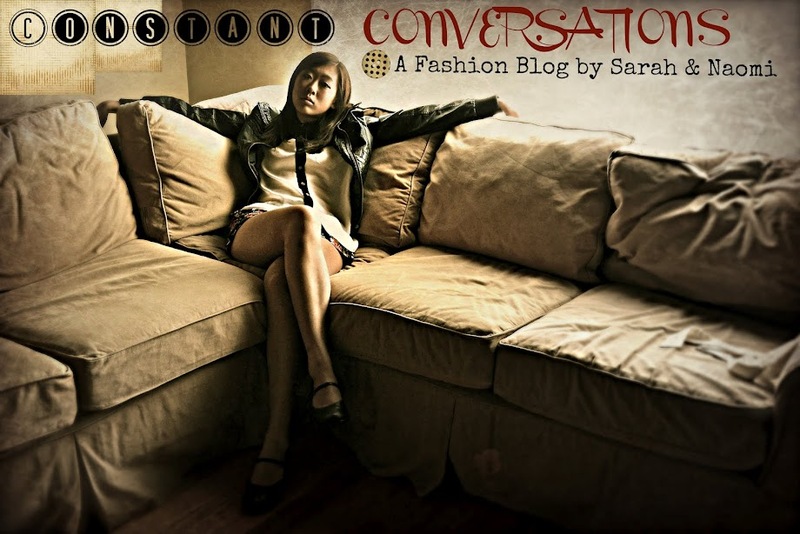 I noticed that CollegeFashionista is a frequent author of articles about college, and decided to visit the site. Once there, I fell in love with the concept and resolved to apply to be a Style Guru. Nirvana, Doc Martens, unwashed hair, and almost-insufferable amounts of teenage angst—sound familiar? If you guessed grunge, you’d be correct: this nineties fashion movement is alive and kicking. As this Fashionista shows, the key to making the decades-old trend modern is by adding a glam spin to it. Our sartorial muse expertly juxtaposes grungy elements with polished menswear, a classic Coach bag, and patterns galore. By combining the iconic, slouchy plaid flannel with the structured tuxedo blazer and loafers, she ensures her silhouette is both sleek and edgy—a daunting yet rewarding style anyone can rock, with some effort. And can we please discuss her masterful pattern mixing? Plaid, stripes, and chevron might make any of us more minimalist mavens blanch, but this Fashionista pulls it off with aplomb. The secret is combining pieces in a similar color scheme—like red, black, and white—with dissimilar pattern sizes. Thus, the louder, bigger plaid print balances nicely with the smaller Breton stripes and the subtler chevron. So how can the Clueless among us snag this stylish look? First, pick your nineties grunge poison—ripped jeans, combat boots, or thrifted flannels are the bomb. Then it’s on to pattern mixing. Choose similar-hued patterns of varying sizes, like skinny stripes with big plaid, or minute dots with larger florals, to mix into your outfit. These patterns could grace your watch, tights, or even your wallet—be creative! Finish off the look by incorporating a few tailored menswear elements, like loafers, oxfords, or a blazer, and you’re good to go. Bonus—this layered look will keep you warm for fall and on into a mild Californian winter. Take that, sweatshirts and Uggs! Supposedly, we'll see if I get the job by December 20. Crossing my fingers for an early Christmas present!